Digital marketing is opening windows of opportunities for B2B marketers to promote their companies on a wide range of digital marketing channels—including websites, email, social media, organic search, paid search, mobile and display ads, for example. With so many options, a common question B2B marketers ask is: Which digital marketing channels should I use? Before planning an effective digital marketing strategy, marketers need to understand the different channels, including the pros and cons. With this insight, they can identify which channels are most likely to work best for their businesses. 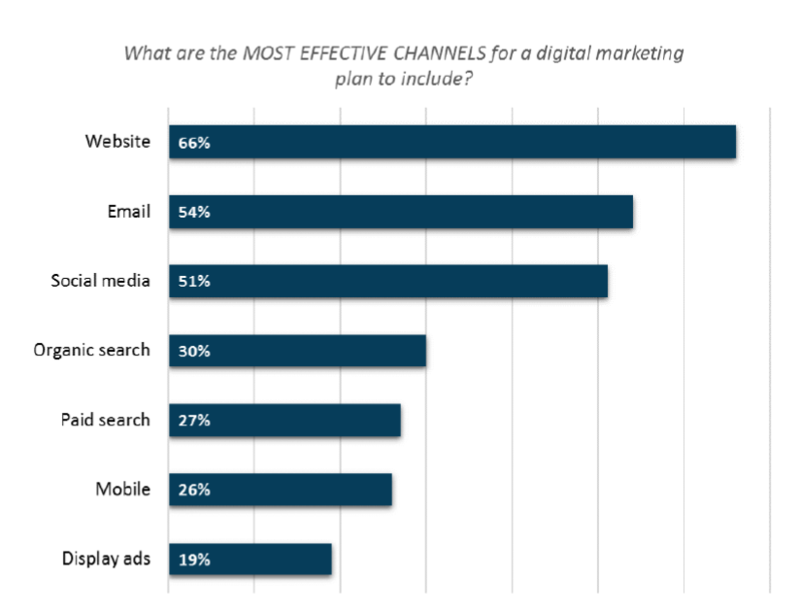 A Digital Marketing Plans study found that B2B marketers find seven digital channels to be most effective. Those digital marketing channels are listed below. To help you answer the question—Which digital marketing channels should I use?—we’ve prepared an overview of the pros and cons of each of these seven channels, along with tips on how to optimize their marketing value. Websites and blogs aren’t just nice-to-have marketing tools. They are essential digital channels for every company operating today. They are workhorses for communicating and selling to prospects and customers. Prospects today expect companies’ websites and blogs to provide copious amounts of content that answer their specific questions. Also, when they care about a brand, they expect to receive regular blog posts that provide them with news, insight, offers and more. B2B email marketing is an effective way to build and maintain rapport with potential clients and maintain relationships with existing customers. As the prospects progress through the sales funnel, companies can focus on helping them solve specific problems and achieve specific goals, rather than abruptly pushing them toward sales. Some companies send a weekly or monthly email newsletter to keep their businesses top-of-mind, so that prospects and customers will look to them when they’re ready to buy. Social media has grown from being merely a digital channel for socializing into one of the most powerful digital marketing tools for brands and businesses. All forms of social media, from Facebook to LinkedIn to YouTube, have built large networks and communities by allowing users to interact with each other, share opinions, participate in discussions and engage in real time. Today, businesses can leverage social media platforms to create brand awareness organically (versus advertising) for their products and services. Also, they can reach out to highly targeted potential customers through person-to-person engagement. 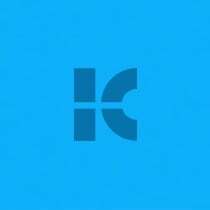 Regularly post links to new content, articles, company events, industry awards, etc. Every day millions of people use search engines to hunt for information about brands, products, services and the pain points they experience. It still rules as one of the best B2B marketing channels, because it’s the most popular medium for locating any and all information. Marketing masters understand that SEO is the lifeblood of a thriving, effective digital marketing strategy. SEO involves several activities to boost rankings, including keyword research, making use of both on-page and off-page optimization, linkable asset creation, organic link building and more. Optimizing SEO in your content will dramatically improve your search rank and make it that much easier for customers to find you. For example, you can publish original content related to your industry and include the keywords in strategic places like your title tags, headings and content. Paid search is like SEO except companies pay for it. There are two key differences when considering SEO or paid search. The first is that paid ads appear at the top of the page, above the organic listings. The second is that traffic from organic is free, whereas traffic from paid search has a cost for each click. Essentially, paid search dominates above-the-fold. With typically four ads on desktop and three on mobile, users will always see the paid search ads, even if they choose to scroll past them. Ads can be targeted by search keywords, time of day, day of the week, geography, language, device and audiences based on previous visits. Some of the options for creating ads are calls-to-action, locations, site links, pricing and bullet points. In the B2B marketplace, mobile is growing rapidly. More and more buyers are using smartphones, and mobile’s influence is reshaping the B2B purchase pathway. Effective mobile advertising means understanding your mobile audience, designing content with mobile platforms in mind and making strategic use of email marketing, mobile apps and geofencing advertising using GPS and radio frequency identifiers. This is creating substantial opportunities for marketers who get it right, while companies that aren’t engaging customers on their smartphones risk losing sales and market share. However, many B2B marketers are dissatisfied with their current mobile marketing strategy, hampered by a lack of data, ineffective measurement and inadequate mobile capabilities, skills and tools. This channel involves designing graphical ads and placing them next to content on websites, emails and other digital formats. Display ads help promote new products or offers, increase online presence and reach out to customers to help drive leads and increase brand awareness. Ads can be banners, boxes, interactive ads, video ads, overlays and other similar ads that are linked to a landing page or website. They can include text, images, audio or video clips, animation or other interactive content. Clearly, digital marketing channels offer today’s marketers multiple opportunities to get their names and messages out in front of a larger targeted audience in ways that build brands, create conversions and boost profits. However, the vast number of options can also be overwhelming, leading to poor choices and wasted investments. By studying the opportunities, and the pros and cons of each channel, before making a time and budget commitment, companies will ultimately find their best answer to the key question: Which digital channels should I use?